New Research Shows Blue Whales Live Year Round Off The Coast of Newfoundland According to Underwater Atlantic Blue Whale Audio Recordings. Studying Blue Whales is notoriously difficult and therefore little is known about blue whale populations, habitats, and migration patterns. Because blue whales are always on the move and spend most of their time at sea, they are ultra elusive. Also, there are not a lot of blue whales on the planet. At present, blue whales are officially listed as an endangered species with the World Wildlife Fund. 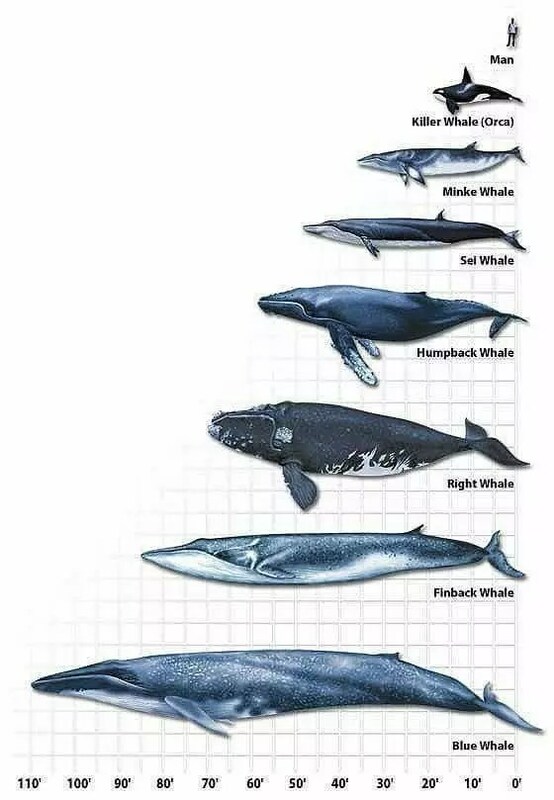 According to 2019 research data, the estimated global population of blue whales is just 25,000, and that accounts for all five sub-types of blue whales combined. 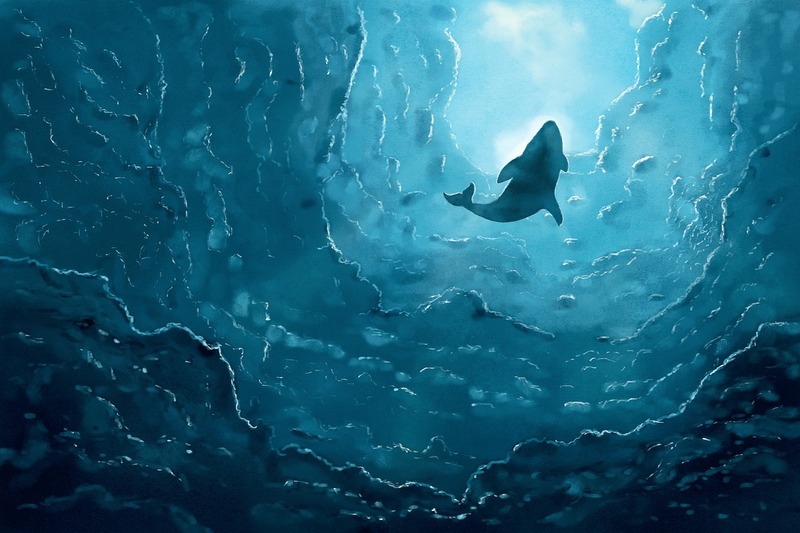 To give a percpective of what populations were like before commercial whaling, the Antarctic sub-type of blue whales had the largest pre-whaling population, with an estimated population of over 300,000. Whales are pretty big, but they vary in size from the Dwarf Sperm Whale which can be just 2.5 meters long and weigh 200 kilograms all the way up to the Blue Whale which can weigh 136 metric tons (that’s 150 imperial tons). Not only is the Blue Whale the largest of all the whales, but it’s also the largest living creature on the planet. The blue whale is also the largest creature that has ever lived on our planet. No dinosaur or anything we have ever known has been larger than the blue whale. Compare – if you dare! New data released on March 6th, 2019 from the Canadian Department of Fisheries and Oceans reveals Blue Whales are spending more time off the waters of Nova Scotia and Newfoundland than has been previously thought. Because Blue Whales are the biggest whales in the world, they also make the loudest noise, giving them the capability of communicating across vast distances in the water. According to Catalina Gomez from the Department of Fisheries and Oceans, underwater audio recorders attached to the bottom of the Atlantic reveal Blue Whales are present in Atlantic Canadian waters year round. The listening device used to gather this Blue Whale data is 1.5km below the surface of the ocean and is set up to distinguish between four different calls unique to Atlantic Blue Whale populations. Blue Whale audio data gathered by the underwater audio recorders in the winter months is of particular significance since little is known about Atlantic Blue Whale winter behavior because the population is hard to study in winter due to inclement weather and large waves. “The use of the technology is really important because it has revealed new information on whale occurrence in Canadian waters. In the case of blue whales, we did think that most of the individuals migrated down south during the winter, but the acoustics have revealed that at least some individuals are remaining through the year”. What was otherwise thought of as blue whale populations that migrate through Newfoundland waters each year has, according to the acoustic research, turned out to be resident blue whale populations with a year round presence off the coast of Newfoundland and throughout Atlantic Canada. The Atlantic Blue Whale data gathered shows Blue Whales can be found year-round off the coast of Newfoundland and across Atlantic Canada. The most popular Atlantic Blue Whale sites identified by the Department of Fisheries and Oceans Blue Whale Data audio study are the Grand Banks and Scotia shelves, the deep water channel that runs between Newfoundland and Cape Breton, and the southern coast of Newfoundland which is an internationally known Blue Whale hot spot.